Is The Viavito Setry 2-in-1 Elliptical Trainer and Exercise Bike The Compact Dual Purpose Model Advertised? The Viavito Setry 2-in-1 Elliptical Trainer and Exercise Bike is an enticing machine with the 5kg flywheel, 32 levels of magnetic resistance, 19 programs, 4 user profiles and a lot more on board for a great workout. The main aim of this machine is to provide two great functions in one well-made, space saving device. 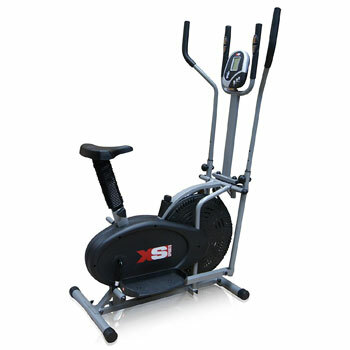 There is the exercise bike side and the cross trainer side, so users can diversify a routine on one simple machine and enjoy a better home-gym experience. Does this all work as planned for those looking for a new approach to their training regime? 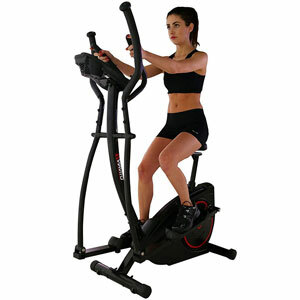 What benefits have users appreciated when testing out this Viavito Setry 2-in-1 Elliptical Trainer Bike at home? 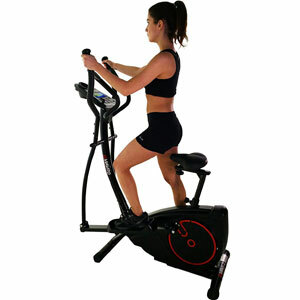 This 2-in-1 model really does work well here because there is just as much praise from users about the elliptical trainer elements of the machine as the exercise bike. This isn’t simple one machine with a few elements of the other. Some focus on it as a bike, others as a cross trainer, but have the option to switch. All all depends on user preference. Then there is that idea of a space-saver model with room to move. It measures at 126cm long and 62cm wide, but has a decent stride length of 31.2cm. 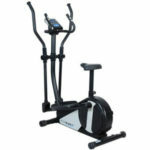 There are also positive comments in regard to the quality and feel of this Viavito elliptical trainer. 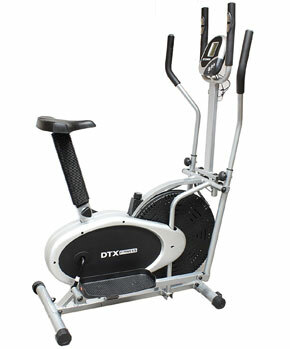 It is seen as a smooth, sturdy cardio machine with very little noise to distract users. This is partly down to that flywheel and the ease of assembly. This adds to this sense of accessibility, as does the user weight allowance of 120 kg and multiple adjustments on the seat. In addition to this, there are users on the shorter side that are impressed that they can reach the handlebars with ease on this more compact machine. 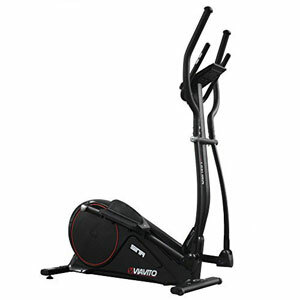 What potential problems should buyers be aware of with this Viavito 2-in-1 Cross Trainer Bike ? Users of other Viavito exercise equipments may be aware that this company isn’t all that great when it comes to writing instruction manuals, and the same is true here. Users are left to figure out a lot about the programming by themselves. Still, most find that it is easy to use with a little practice. It should also be noted that while heart rate monitoring is advertised, it comes from pulse sensors and a wireless receiver in a chest strap – which is not included in the box. This add-on does add to the cost a little for those that need it. Summary: is this Viavito Setry 2-in-1 Elliptical Exercise Bike still recommendable with all of this feedback in mind? The appeal of this machine starts with that compact, 2-in-1 nature and the interest that this has for all those that need a more diverse workout at home. However, there is clearly more to this machine to help users with fitness goals. This is clear with those programs, the data provided on the console and the quality of the machine. Users may be able to push themselves even further with a free heart rate strap and better manual. This is why the Viavito cross trainer bike remains a great product in the eyes of many reviewers. Find out what other people are saying about the Viavito Setry 2-in-1 Elliptical Trainer and Exercise Bike on Amazon here.